The latest lurid headlines to hit the newsstands blaming video games for violence concern the case of Ryan Donovan. This Royal Navy sailor shot an officer dead and attempted to kill three more crew mates. He used an SA80 rifle that he was issued with for sentry duty. The prosecutor claimed Donovan was drunk when he volunteered for sentry duty after a two day drinking binge and that he was resentful after being admonished for disobeying orders to clean part of the submarine he was serving on. Apparently he had discussed killing people before and even told another crewmate that he was going to kill someone when he returned for duty. So we have a disgruntled, mentally unstable man under the effects of alcohol issued with a gun. Naturally the tabloids reported it as a “Grand Theft Auto Massacre”. This tenuous link was made because he had discussed GTA kill sprees in the past and it opened the subject up for the media to drag out their usual unfounded claims about GTA inciting violence. 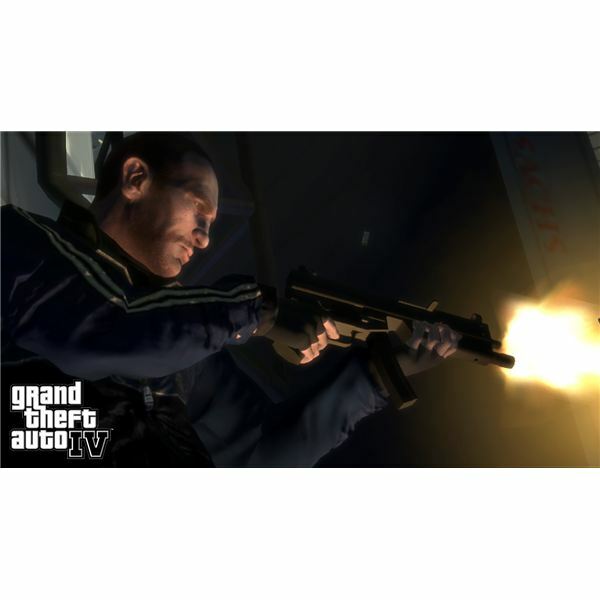 The multi-million selling Grand Theft Auto series has been a prime target for people seeking to lay the blame for violence and murder at the feet of video games. The attorney, Jack Thompson, has led a crusade against GTA and been involved in several law suits seeking damages from the makers and marketers of the games. He likes to describe GTA as a “murder simulator”. He also likes to exploit the grief of victim’s families to drum up hatred of violent video games. Despite his attempts to make out that GTA and other violent video games are responsible for killings he has yet to win any of these frivolous suits. Even the recent London riots had some papers claiming the looting and violence was inspired by GTA. The Evening Standard had a blurb stating "Children as young as ten, inspired by video game, among the looters" but later retracted it after outrage in the games media. This phenomenon is nothing new — video games are simply the latest target. Rock ‘n roll music was once blamed for promiscuity and violence. Comic books were blamed for juvenile delinquency. Violent films are often blamed for murders. In fact violent films and rap music still get blamed for inciting violence quite often but the most popular target nowadays is definitely video games. Usually the people who are so quick to blame a movie or video game for some violent act are unfamiliar with the contents of it. Their ignorance comes across loud and clear in the ridiculous claims they make. The fact that millions of people enjoy these mediums without ever committing violence is completely ignored. If something awful happens it is a natural human reaction to seek a cause, to find something or someone to blame. It is obviously more palatable for many people to blame a video game than it is to ask questions about the mental health of an aggressor and society’s failure to recognize or treat it. Parenting and childhood, access to and training with guns, alcohol and drug problems, bullying and the prevalence of violence in the real world can be happily overlooked if we can just blame the whole thing on Call of Duty. Ultimately it always comes down to the individual. There are invariably a number of root causes that lead to people committing violent acts. The specific shape of that violent act may be influenced by something they saw in a game or a movie or even something they read or heard. The idea that they were perfectly normal or healthy, played a video game and then became a rampant murderer is beyond ridiculous. Does anyone really believe that? The most evocative media links between violence and video games always involve children. They are potentially more susceptible to influence and might not have such a strong understanding of right and wrong. Overlooking the fact that this discredits children’s intelligence we do have an age rating system in place. Unless we want a world where the only entertainment available is deemed suitable for children then we can’t blame developers for making a game for adults that might have a negative influence on kids. It is up to retailers and, more importantly, parents to make sure that children don’t get their hands on adult video games. Unless we want to introduce more censorship and start banning anything that offends some portion of society we have to defend free expression. The idea that kids aren’t exposed to violence is completely false anyway. TV is rife with violence. The same media that hysterically condemns video games will happily report the lurid details of every violent act that hits their radar. Whether we like it or not violence is a part of human life and trying to hide it from kids as though it doesn’t exist isn’t going to help their development. Video games actually allow children to experience violence in a safe environment. It is interesting to note that one aspect of video games that does seem to increase aggression is competition. It is not the violent content. People of all ages can fly into a rage when they are beaten at a game, whether it is football, monopoly or a first-person shooter. Competitive sports lead to a great deal of violence and there has been a huge debate raging about what age it is okay for kids to compete at and whether the competitive nature of many sports is negative. Of course it is best to remain wary of studies involving relatively small numbers of gamers. There have been various studies on the possible effects of gaming, the link with violence, the idea of gaming addiction and even the idea that games blur real-life boundaries. It doesn’t actually matter what they report because the media agenda for some has already been set and they simply extract the data that supports their argument and ignore the rest. The bastion of reactionary stupidity that it is the Daily Mail was quick to suggest that games prompt violent solutions to real-life situations after a recent report on “Games Transfer Phenomenon”. The Metro took the same line. As reported on Spong, Professor Griffiths, the co-author of the report was quick to deny the claims and explained that some of the media had misrepresented the data. "The Metro, they obviously had an agenda – because all [the reporter] said was that he just wanted to know about the negative stuff. I told him that the paper was primarily positive, or at least neutral. He said 'I don't want to know about that, I want to know the negative stuff.' So I just went through what we did, what we found and what we are doing next." It should be obvious to everyone that games don’t kill people, people kill people. The idea that games are responsible for the fall of our youth is a recurring generational idea that is stamped on new forms of entertainment by people who don’t understand them or sections of society who would like to ban everything that offends them. The negative reporting on games is just a cheap way to create an attention-grabbing headline and an excuse for more of the slavering scare-mongering that some sections of the media seem to be committed to. PC and Video Game Consoles Comparison: Fan Boy Showdown!